MT. 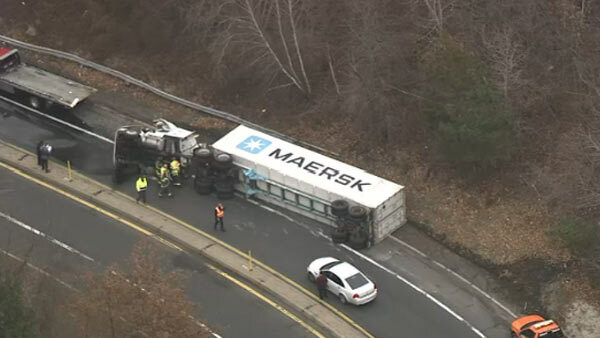 LAUREL, N.J. (WPVI) -- A tractor-trailer flipped over on a ramp to the New Jersey Turnpike on Monday morning in Mount Laurel. The crash happened at Exit 4 on the ramp from NJ 73 southbound to the turnpike. The view from Chopper 6 showed the truck on its side with rescue crews on the scene. The ramp is closed and a detour is in place. There was no word on how long it would take to clear the scene.